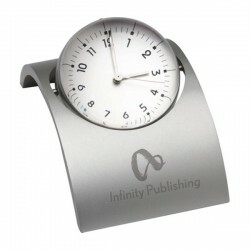 Branded clocks get your logo onto your clients' desks. 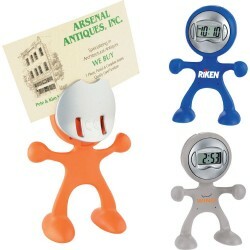 A good way to enjoy continuous brand exposure is to choose visible promo items such as promotional desk clocks. 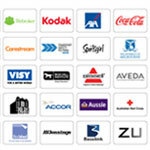 With their strategic position, your brand is exposed all throughout the day. They can even work as a marketing tool outside the office such as in homes and establishments. 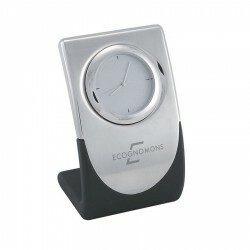 Branded with your corporate name or logo, these printed desk clocks make the perfect business giveaway or corporate gift to customer or employee. 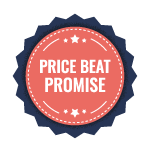 Check out our collection of customised desk clocks which include executive spectra spinner clocks, practical solar desk clocks and budget sensor clocks. 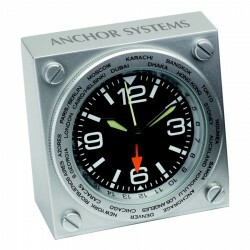 Many of our promo clocks come with other features such as dates, temperature and even USB ports. Browse our selection and ask our sales experts for assistance for any enquiry. 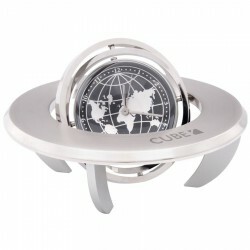 You'll have the world at your fingertips with this fun and functional world time clock. Keep your home time on display and then move the plane around the globe to compare the time in another city. A great addition to any executive desk. 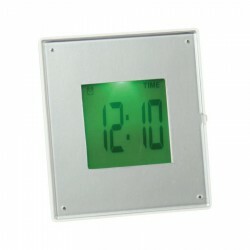 Brushed aluminium, Day/ date/ temperature display,Alarm function with snooze, 24/12 hr time, Can be hung on wall or stand alone, Batteries included. Great gift for all occasions. Nickel finish travel clock in a black leather look travel pouch with white stitching Features: Clock has an white analogue face with seconds hand, alarm and snooze function with roman numerals around the clock bezel. Quartz battery powered clock in a ring pull can with peel back lid. 1 AA Battery supplied but not inserted. Features built in fold out stand on base. Packed - recycled display box. 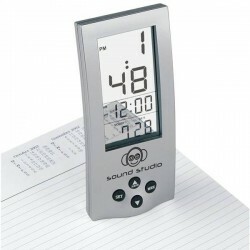 Sensor desk clock with unique colour changing touch display. Perpetual calendar, Temperature, 12/24hr time, 3 x AAA batteries included, Boxed. 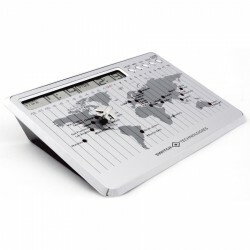 With Londoner on your desk you have instant access to all of the world’s time zones. Simply set the outer ring to the current time in your city and all other time zones are automatically set. 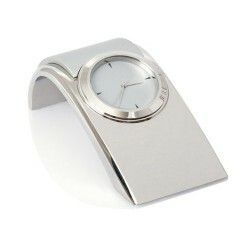 Featuring metal construction and alarm function this quality time piece is supplied in a natural coloured gift box. 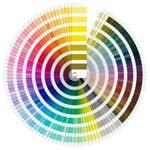 Spectra is both elegant in appearance and functional in design. Spin the clock to reveal the photo frame on the reverse side. Gift box included. 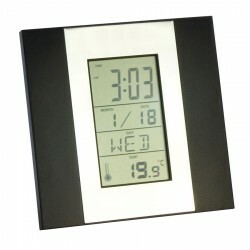 This uniquely styled alarm clock utilises the latest LCD see-thru screen for added effect. 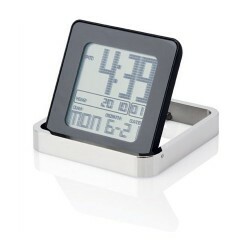 Save some desk space with the integrated pen holder and alarm clock with C/F temperature function. Batteries included. 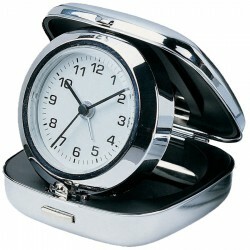 Analogue alarm clock in aluminium casing with velvet pouch. 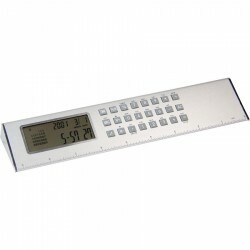 Multifunction world time, alarm clock with 9" and 23cm dual ruler and calculator. Boxed. 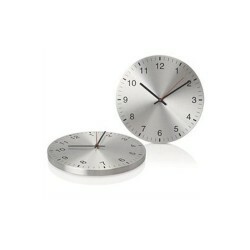 Immaculate stainless steel designed danish clock by Carl Jorgen. Requires 1 x AA battery. Black gift box. 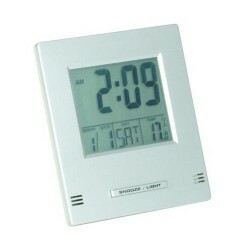 Compact digital clock with alarm date and temperature functions. Mini white board for writing memos on your desk. Including black colour marker, digital clock module and 1 button cell battery. Mini white board for writing memos on your desk. Including black colour marker, analog clock module and 1 button cell battery. Water powered alarm clock. Needs just a little bit of water to operate. 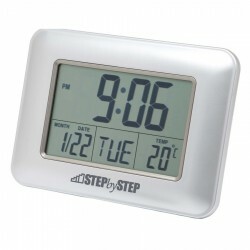 Displays time (month, date, H, M, Sec) and has an alarm function. 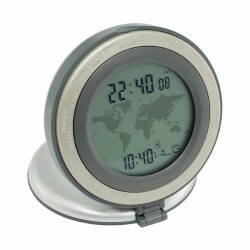 World time clock, date, alarm & temperature, Includes batteries, Black PVC pouch. 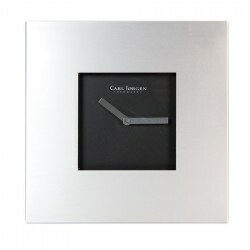 A metal quartz clock in brushed silver and matt black rubber finish. 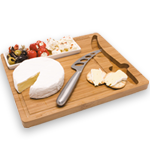 Supplied with battery in black deluxe presentation gift box. 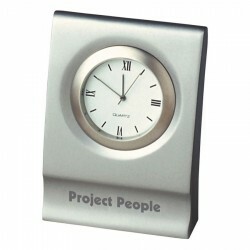 MDF white clock, Silver graduations, black hands, Has the option to be wall mounted. It's time for a bit of fashion on your desk! This silicone clock is equipped with a 12/24 hour time mode, it displays month, day, hour and minute, has an alarm mode with snooze and timer function. Four Buttons: Mode, Up, Down, Snooze. USB powered letter opener, LCD alarm clock with hourly chime function, 1.3 metre detachable USB cable, 1 x AAA battery. 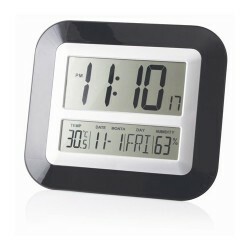 Rectangle shaped desk clock with digital date, time, alarm, temperature and snooze functions. This elegant clock is cast from solid metal and plated in satin chrome. 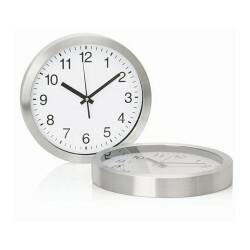 Say it in style with this distinctive desk clock and photo frame. Made from solid metal, Synergy features a multi-rotational display and folds flat for storage or travel. A timeless design. 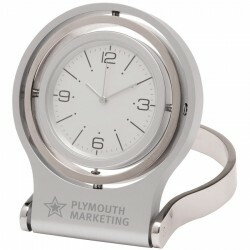 Multi function desk clock with a built in leather look pen holder. Folds flat for economical delivery. Low cost reliable multiple function desk clock. Time, day, week, month and alarm functions included. A unique desk clock with time, date, day, alarm and temperature functions that conveniently 'flips' down so you can use the built in calculator. 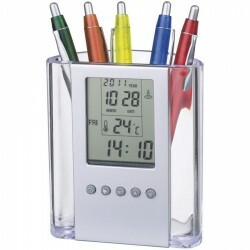 Attractive multiple function desk clock with bright multi coloured back lighting. Multi function LCD clock metal chrome plated front perpetual calendar snooze alarm clock, 12/24hr time display, indoor thermometer temp display, 2 x AAA batteries included. Gift boxed.